Important Notice: This page only contains basic information that publically available, to view my work on the case during for this year please follow this link. Distinguishing Characteristics: White female. Brown hair, blue eyes. Savoy has tattoos on her right hip and right breast, and surgical scars on her lower right leg and her left wrist and elbow. She has an orthopedic pin inserted. Medical Conditions: Savoy has a history of cocaine abuse. Savoy was last seen on foot in the area of Lee Road and Interstate 4 in Apopka, Florida on October 7, 2008. She has never been heard from again. Savoy is missing under suspicious circumstances. Few details are available in her case. Since 2006 I have personally worked over 1,000 missing person cases and have literally spent thousands of hours of my own time trying to help find missing people, especially missing children...and always for free. CASE # 004: Corey Knottgen 1.30.2006 Located! CASE # 005: Jacob D. Robida 2.3.2006 Located! CASE # 009: Byron Perkins and Girlfriend 3.6.2006 Located! This RV has been confirmed correct by police and media reports. CASE # 011: Phillip Brown 3.21.2006 Located! CASE # 012: Purvis Parker and Quadrevion Henning 3.23.2006 Located! CASE # 015: John Fiocco College Murder, NJ USA 3.30.2006 Located! CASE # 018: Perla Herandez 5.3.2006 Located! 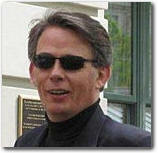 CASE # 019: Warren Steed Jeffs 5.8.2006 Located! Some details in this RV has been confirmed correct by police and media reports. CASE # 020: Rebacca Ann Braun 5.12.2006 Located! CASE # 024: Elinore Sheffield 6.24.2006 Located! CASE # 071: Nataleigh Cross 7.26.2006 Located! CASE # 101: Juanito Mendoza Haro 8.12.2006 Located! This RV is closed, awaiting translation. CASE # 103: John W. Parsons 8.13.2006 Located! This RV is still open and has new information posted. CASE # 118: Jayden Headley 8.23.2006 Located! CASE # 127: Joanna "Asha" Veil 9.15.2006 Located! 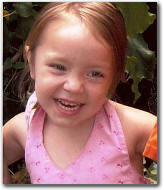 CASE # 130: Abigale Lynn Woods 9.16.2006 Located! 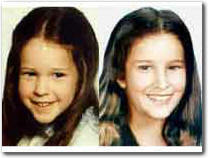 CASE # 132: Murdered woman, Jimella Tunstall three missing children 9.24.2006 Located! This RV has been confirmed correct by police and media reports, but I maybe still wrong. 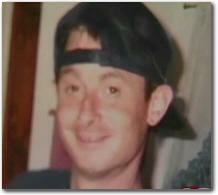 CASE # 140: Shawn Hornbeck 10.7.2006 Located! This RV has been confirmed correct by police and media reports and family. CASE # 143: Pranvera Nimani 10.9.2006DREAM Located! CASE # 145: Brookley Louks 10.11.2006POSSIBLY Located! CASE # 147: Michelle Gardner-Quin 10.11.2006 Located! 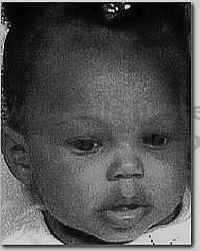 CASE # 154: Missing 9-month-old baby, Saige Terrell 10.16.2006 Located! CASE # 155: Ajanae Scruggs 10.17.2006 Located! CASE # 159: Analyce Guerrs 10.19.2006 Located! CASE # 187: Evan Baldenegro 11.10.2006 Located! IN 4 HOURS!! CASE # 189: Tammy and Kylie Walnofer 11.10.2006 Located! CASE # 191: Samuel and Lindsey Porter 11.11.2006 Located! This RV could be correct...pending for more details. CASE # 195: Missing dog named Tasha 11.13.2006 Located! This RV has been confirmed by the dog's owner. CASE # 205: Jessiah Jameson 11.25.2006 Located! 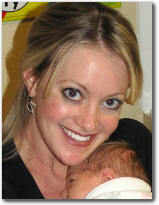 CASE # 206: Avery Lee Stately and Tristan Anthony White 11.25.2006 Located! CASE # 217: Ella and Marteen Bennette Casey 12.3.2006 Located! CASE # 218: Geontae Glass 12.4.2006 Located! CASE # 219: Kim Family of 4, James, Katie, Penelope and Sabine 12.4.2006 Located! CASE # 224: Austin James McKinney 12.7.2006 Located! 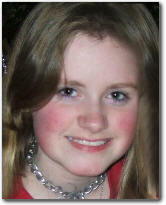 CASE # 229: Coreen Wiese 12.11.2006 Located! CASE # 232: David Iredale 12.14.2006 Located! CASE # 233: Tracy Onawa Jones 12.14.2006 Located! 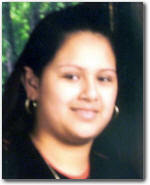 CASE # 235: Julisa Gomez Diaz 12.15.2006 Located! The child was found safe. This RV is may not have happened yet. CASE # 238: Kelly James, Jerry Cooke & Brian Hall 12.16.2006 Located! CASE # 239: UK Serial Killer DREAM12.17.2006 Located! CASE # 247: Tyler Lee and Holly An Needham 12.18.2006 Located! CASE # 268: Brenna Moore 1.6.2007 Located! CASE # 272: William Ownby 'Ben' 1.10.2007 Located! case number 140, Shawn Hornbeck. CASE # 274: Elizabeth Ortiz 1.13.2007 Located! CASE # 279: Marissa Marie Graham 1.19.2007 Located! CASE # 287: Loic Rogers 1.26.2007 Located! CASE # 291: General Fluff 1.31.2007 Located! CASE # 321: Zeke Brown 2.22.2007 Located! 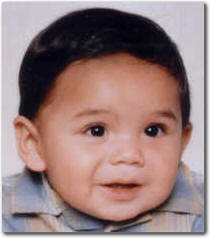 CASE # 325: Vicente Beltran-Moreno, accused FL child kidnapper 2.25.2007 Located! 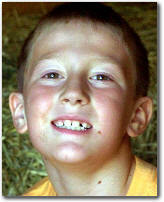 CASE # 335: Nathan Robin Christen 3.9.2007 Located! CASE # 336: Mychael Darthard 3.10.2007 Located! This RV was correct, with further case details/confirmations pending. CASE # 339: Wade S. Steffey 3.11.2007 Located! CASE # 341: Scott Michael Javins 3.11.2007 Located! CASE # 346: The person who murdered Johnia Berry 3.15.2007 Located! CASE # 349: Michel Auberry, Missing Boy Scout in North Carolina 3.18.2007 Located! CASE # 353: Manuel and Ruben Olguin 3.22.2007 Located! CASE # 358: Alyssa Frazier 5.16.2007 Located! CASE # 361: Lars and Remi Baugher 3.27.2007 Located! This RV has been confirmed 100% correct by police and media reports. CASE # 369: Jonathan Smalley 4.5.2007 Located! CASE # 370: Danette and Taylor Thomas 4.5.2007 Located! 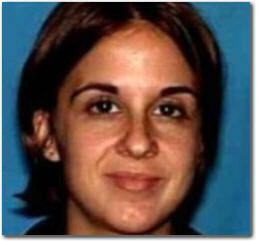 CASE # 377: Donna Gonzalez 4.14.2007 Located! CASE # 380: Alexis Roadside 4.16.2007 Located! 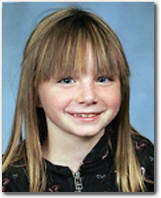 CASE # 391: Stephanie Elizabeth Condon 4.25.2007 Located! 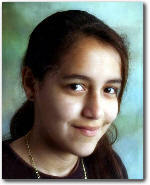 CASE # 392: Junni Angel Rios 4.26.2007 Located! All details of this RV were correct. 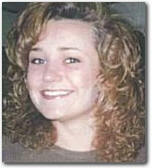 CASE # 398: Jessie Davis 6.19.2007 Located! CASE # 422: Zina Linnik 7.5.2007 Located! CASE # 445: Mahalia Xiong 7.17.2007 Located! CASE # 453: Aiden Duarte and Beatriz Duarte 7.24.2007 Located! CASE # 526: Rosemary Edwards 9.10.2007 Located! CASE # 536/DD5932: Steve Fossett 9.21.2007DREAM Located! 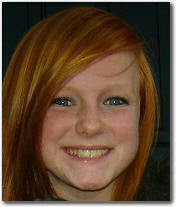 CASE # 544: Emily Graeber 11.10.2007 Located! 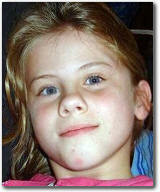 CASE # 548: Lauren Barnes 11.28.2007 Located! This RV seems to be correct. CASE # 559: Veronica Ruiz 12.11.2007 Located! 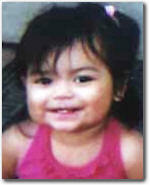 CASE # 562: Arlene Alonzo 12.21.2007 Located! CASE # 572: Joel Gove 12.24.2007 Located! 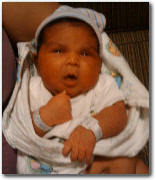 CASE # 579 Anu Solanki 12.26.2007 Located! CASE # 583 Dewey Horne 12.29.2007 Located! CASE # 587 Meredith Emerson 1.3.2008 Located! This RV is still open, and may be useful in other cases. 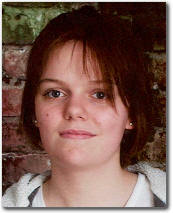 CASE # 592 Maria Lauterbach 1.10.2008 Located! CASE # 593 Danny, Lindsey, Hannah Luong & Ryan Phan 1.11.2008 Located! CASE # 600 Mari Luz 1.15.2008 Located! 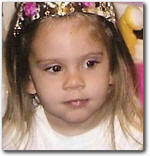 CASE # 603 Brianna Denison 1.24.2008 Located! CASE # 605 Tubay Dominique �zcan Mavi 1.25.2008 Located! CASE # 609 Adrain Jaimes 2.7.2008 Located! 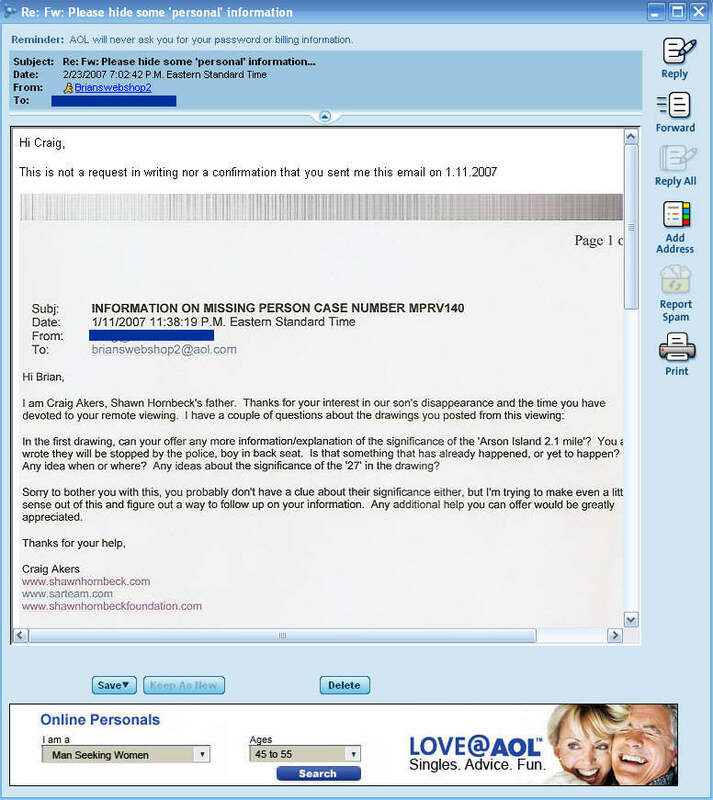 CASE # 610 Shannon Matthews 2.21.2008 Located! CASE # 616 Hser Nar Moo 4.1.2008 Located! CASE # 617 Engla Juncosa-Hoglund 4.7.2008 Located! CASE #621 Ryan Ramous 7.3.2008 Located! CASE #627 Thomas McKay 12.23.2008 Located! CASE #631 Ericka Camacho 12.27.2008 Located! CASE #636 Joseph Davis 1.2.2009 Located! CASE #651 Wyatt, Juliet and Teddy Little Light 1.16.2009 Located! CASE #658 Afonso Tiago 1.22.2009 Located! CASE #667 Stephen Tamburo 2.1.2009 Located! CASE #675 Dominick Arceneaux 2.12.2009 Located! CASE #676 Erica Marie Martin 2.17.2009 Located! CASE #677 Annabelle Willimas-Forlano 2.18.2009 Located! CASE #679 Deon and Zariyah Brown 2.19.2009 Located! CASE #682 Jason Holley 2.25.2009 Located! CASE #684 Breanna Woodside 3.1.2009 Located! CASE #685 Deborah Kalai Fourzan 3.1.2009 Located! Deborah was Located! and she is safe. 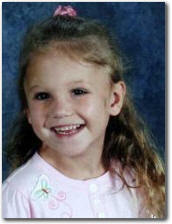 CASE #693 Kasey Bias 3.7.2009 Located! 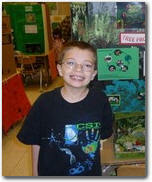 CASE #694 Jacob Lucas 3.8.2009 Located! CASE #698 Duncan and Jack Connolly 3.12.2009 Located! 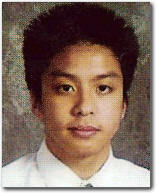 CASE #700 Joel Valdez Jr. 3.14.2009 Located! CASE #702 Joanna DelCarmen and Angel Villegas Cano 3.17.2009 Located! CASE #704 Justin Lee Wainwright 3.18.2009 Located! 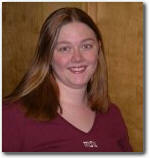 CASE #706 Tiffany Lynn Chapman 3.19.2009 Located! 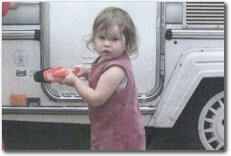 CASE #711 Cassie Elizabeth Mosteller 3.28.2009 Located! 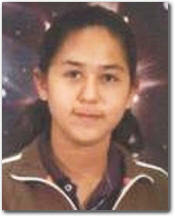 CASE #712 Sandra Cantu 3.29.2009 Located! CASE #714 Jasline Morales 4.1.2009 Located! CASE #716 Matthew, Rowena, Devon and Scean Schade 4.3.2009 Located! CASE #717 Nathaly Alonzo 4.5.2009 Located! 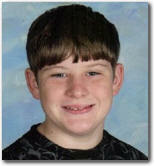 CASE #719 Tyler Dean Mullins 4.8.2009 Located! 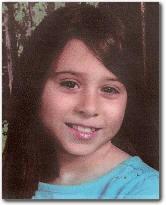 CASE #721 Brooke Gabrielle Hanna 4.10.2009 Located! CASE #723 Daniel Zamlen 4.13.2009 Located! CASE #724 Victoria 'Tori' Stafford 4.15.2009 Located! CASE #729 Khiry Gilliam 4.17.2009 Located! 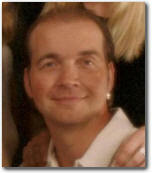 CASE #731 Thor Danielsson Wang 4.18.2009 Located! 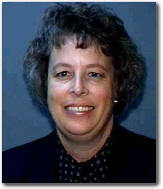 CASE #735 Cynthia Ann Macklin 4.28.2009 Located! CASE #740 Briant Rodriguez 5.12.2009 Located! CASE #743 Stancy Sia Vue 5.15.2009 Located! CASE #748 Joshua Pier 5.21.2009 Located! CASE #749 James Ashley Harris 5.21.2009 Located! CASE #751 Daniel Hauser 5.23.2009 Located! CASE #755 Neviaeh Amyah Buchanan 5.27.2009 Located! CASE #756 Julia Rakoczy and Bonnie Sweeten 5.27.2009 Located! CASE #758 Kelly Currin Morris 5.29.2009 Located! CASE #762 Lora A. Burton 6.3.2009 Located! CASE #766 Cortez Rose 6.9.2009 Located! CASE #767 Haylee Donathan 6.11.2009 Located! DD from June 11th was correct. CASE #772 Jada J. Justice 6.22.2009 Located! CASE #774 SC Serial Killer 7.6.2009 Located! 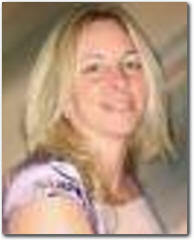 CASE #777 Kimberly Cornell 7.9.2009 Located! CASE #786 Robert Grant Manwill 7.27.2009 Located! 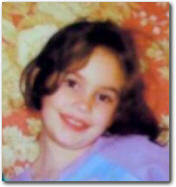 CASE #803 Kimberly Twaddell 8.23.2009 Located! CASE #814 Yair Anthony Carrillo 9.29.2009 Located! CASE #815 Keara Lasha Hess and Sierra Nicole Hess 9.29.2009 Located! CASE #816 Asiling Symes 10.5.2009 Located! 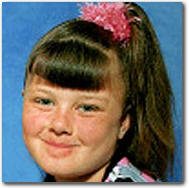 CASE #820 Somer Renee Thompson 10.21.2009 Located! CASE #821 Morgan Harrington 10.29.2009 Located! This RV may hold information as to her death. 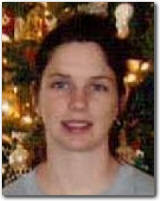 CASE #823 Shannon Lea Dedrick 11.3.2009 Located! CASE #825 Shaniya Nicole Davis 11.11.2009 Located! CASE #829 Kevin Halligen 11.22.2009 Located! 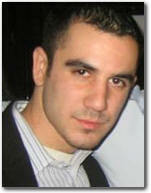 CASE #830 Angel Miguel Perez 11.24.2009 Located! 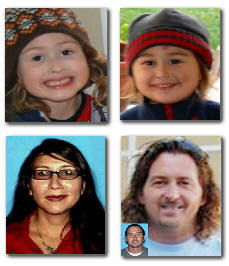 CASE #831 Luis Martinez 11.28.2009 Located! CASE #837 Marc Anthony Bookal 12.16.2009 Located! CASE #838 Sarah Haley Foxwell 12.25.2009 Located! 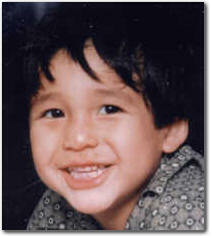 CASE #840 Jonathan Martinez 12.28.2009 Located! 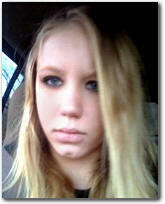 CASE #843 Ashley Lynn Kniphfer 1.3.2010 Located! CASE #845 Alexis Cartwright 1.5.2010 Located! CASE #849 Aveion Malik Lewis 1.17.2010 Located! CASE #850 Ian Vadim Johns 1.18.2010 Located! CASE #851 Brett Smith 1.25.2010 Located! CASE #858 Matt Wilcox 3.4.2010 Located! CASE #864 Kayleah Wilson 4.7.2010 Located! CASE #867 Jermaine Davis 6.19.2010 Located! Jermaine was found safe, cannot confirm DD's as being correct. (c) 2005 - 2019 Brian Ladd LLC - All rights reserved - For psychic entertainment purposes only.